OUR BEST-SELLING NEW BOOK ! STATS MADE SIMPLE-A CONCISE BOOK ON BIOSTATISTICS LAUNCHED FOR PG ASPIRANTS AND UNDERGRADUATES. 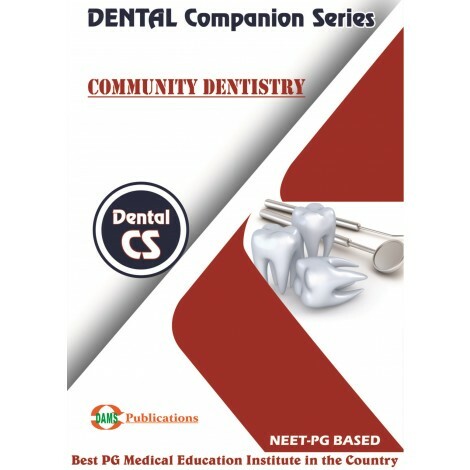 This exclusive DAMS material has been prepared by our excellent faculty and Medical Editorial board from standard books including, K.Park, Latest edition, Epidemiology by Leon Gordis, Latest edition, Methods in Bio-statistics by Mahajan Latest edition, National Health Programs of India by Dr. J. Kishore, Latest edition. The text is concise and easy to revise. A set of multiple choice Questions has been included at the end of the Book. This book is specially designed for various PG entrance exams in India, especially AIPG (NBE) pattern, DNB, AIIMS and State PG exams. Point wise approach, easy to remember and based on standard textbooks. Delhi Academy of Medical Sciences (DAMS) is a well-established name in the field of PG Medical Entrance Education since 1999. We are recognized for our impeccable foresight, enviable expertise and innate acumen. Over this long period, DAMS has evolved into a unique fraternity of educators and students striving together, year after year, in pursuit of a single goal. DAMS is dedicated to make a difference in your journey to success in Post Graduate Medical Entrance Examination. Our famous CRS series are a benchmark for objective based examination. Delhi Academy of Medical Sciences (DAMS) a well-established name in the field of PG Medical Entrance Education for over 16 years now. Today under the leadership of Dr. Sumer Sethi, Radiologist and pervious topper in AIPG/ AIIMS. DAMS is recognized for its impeccable foresight, enviable expertise and innate acumen. We are the number 1 coaching institute for the PG medical entrance examinations AIPG(NBE/NEET) Pattern, AIIMS, PGI, UPSC, DNB &amp; MCI screening. 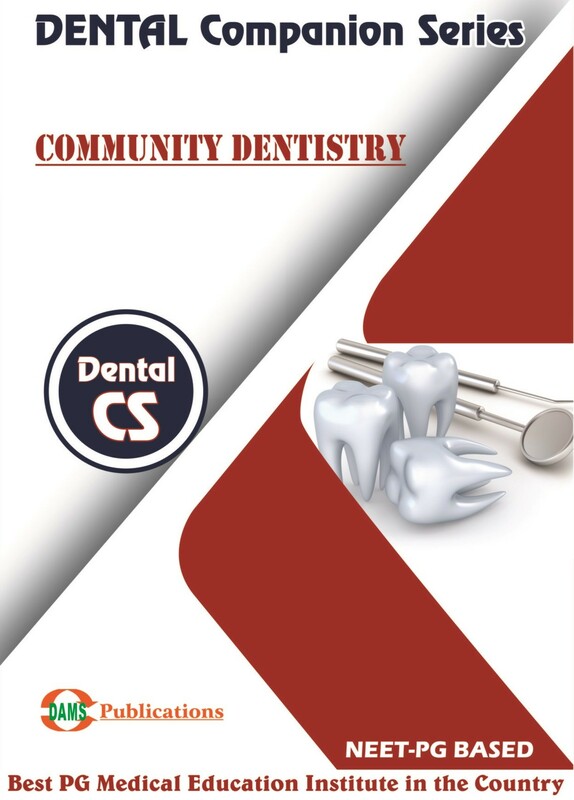 DAMS provides specialized courses which are designed by experts in the respective fields lead by Dr. Sumer Sethi , who is a radiologist and was himself a topper in AIPG &amp; AIIMS before. We assure to provide best coaching for AIPG (NBE/NEET) Pattern, AIIMS PG entrance, and PGI Chandigarh by our sincere effort. The Delhi Academy of Medical Sciences (DAMS) was established to create a bench-mark institution to achieve excellence in the toughest competitive exam in the country, i.e. PG Medical Entrance Exam. Over this long period, the DAMS has evolved into a unique fraternity of educators and students striving together, year after year, in pursuit of a single goal. With a passion to excel, the Delhi Academy of Medical Sciences has raged with the dynamism of a river which constantly renews itself and yet remains unchanging in its resolve to reach its ultimate destination. The institute's aim is not only to provide specific knowledge and strengthen the foundation of the students in PG Medical Entrance, but also to infuse them with determination to crack the Entrance Exams at post graduation level. To explore the potential of the students and to help them master the subject, We, at DAMS have developed extensive scientific teaching as well as testing methods. We also have special sessions on mental training required to develop the so called "killer instinct". Delhi Academy of Medical Sciences is known as the most specialized institution of its type in the country, performing consistently at high levels and has acquired the rare distinction of achieving the highest success-rate in the PG Medical Entrance Exam. © 2014 DAMS. All Rights Reserved.